Hospitals are providing more, and better, services aimed at helping patients stop smoking, according to a report of survey results appearing online yesterday in Psychiatric Services. Researchers at the National Association of State Mental Health Program Directors Research Institute surveyed hospitals in 2008 and 2011 about their smoking policies and practices and changes in specific policies and practices, such as staff specialty training about smoking cessation care, assessment at intake, provision of smoking cessation treatment and education, and aftercare planning. Smoking cessation care was categorized as best, good, average, or poor. The number of hospitals prohibiting smoking rose from 48 percent in 2008 to 83 percent in 2011. The provision of specialty training to staff did not significantly improve, however. Nearly all hospitals assessed smoking status at admission, and nicotine-replacement therapy was provided by more hospitals than any other treatment in both 2008 and 2011. The number of hospitals providing no follow-up of smoking cessation care after discharge dropped significantly, from 64 percent to 41 percent, and significantly more provided "good" versus "average" smoking cessation care. Read more about the findings here. 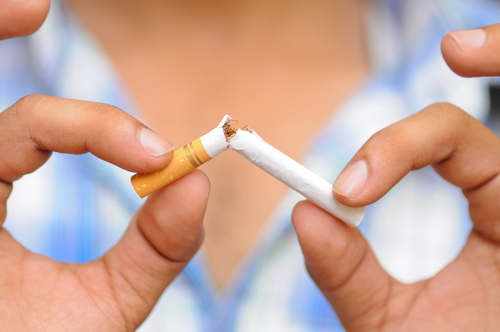 For more information on smoking cessation research, see Psychiatric News here.